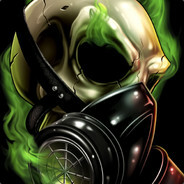 Steam says I've played just over 1,000 hrs since I started a little more than 4 months ago. I just flew past a base last night, that had a WarDrum set on top of a Bronto Platform saddle. Too funny! I was really hoping someone would have said "in the Tek cave at the volcano on The Island map"
I'd be willing to bet that the taxidermy stand stole the mantis's ability. anyone else having issues of plant x shooting super fast and doing 80 dmg ingnoring armor on players and dinos?